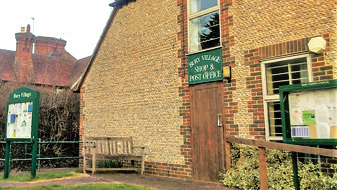 Bury Village Hall is perfect for almost any event or meeting, with its neutrally decorated interior flooded with natural light, a vaulted ceiling and large windows on two sides. The Hall is well equipped with a modern kitchen, projector and large wall-mounted screen and washrooms. In addition to the main hall there is the smaller Sydney Room and the Committee Room also available for use. There is a car park on the south side of the building and some limited on-street parking it also possible. To the north side with direct access from the hall, is Bury Green, an acre of grass playground area with climbing frames and other items for children. Disabled access to the main hall, parking and toilet. Digital Projector and large screen with HDMI connection for laptop. A maple wood sprung floor ideal for dancing and sports (Badminton lines and net available).